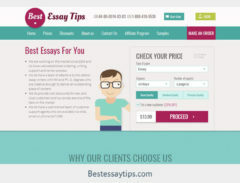 Essay Writers World is one of the trendy and user-friendly sites on the web that offers writing services. Aside from their attention-grabbing theme, the site also has a regular blog which makes the customers more interested in working with them. At a closer look, the site offers ‘certified custom writers’ and ‘A+ or A assured grade.' If we focus on these two promises that they give, it’s not hard to believe that the people working on the paper orders are writers and not just some random people that don't have any experience in writing. However, we cannot confirm the ‘A+ or A assured grade’ as it is difficult to easily believe or check. Now, as we continue to learn more about the company and its services, we need to spend more time digging in for proof before deciding if it’s the best choice for every paper need. When it comes to their writing services, they offer a wide range of papers from the common ones like research papers to the more challenging ones such as capstone projects and financial analysis papers. With their long list of services, the site must be working with not just 20 or 50 writers but, most probably, a hundred if they do deliver papers that are of a great quality and that deserve an A+ or an A grade. For a site to become a trusted and a reliable one, they must offer a great deal as well as deliver superb quality content to keep their customers hooked for a long time and attract new ones at the same time. In what refers to the pricing of their services, we were not able to get a price list since it cannot be found anywhere on their website. However, with a calculator, you can check the price of your paper without the need to sign up or to provide any of your personal information. We did try to use the calculator and it turned out that their prices are costly and not friendly to the budget of the students. For a high school level single page essay with a ten-day deadline, they ask the price total of $19.94 with a ‘no citation’ option. The said price is high compared to the other writing services on the market. Taking into account the fact that it is the lowest academic level with a long deadline, that price is just not a good one. We checked for the discounts that they have. We were disappointed when we went to their discount page and found a lot of irrelevant content and everything was just confusing with not even one accurate piece of information about the discounts. Later on, we found out that before you can calculate the discount you’ll get, they will require your personal information as well as the information about the paper that you’ll ask them to work on. We did follow these steps but we were left highly disappointed when they only gave us a $1 discount for our total price for a page of an essay. As it was pretty disappointing, we expected that maybe they can offer us a first-order discount like other sites do. But we didn’t get any. Setting aside the extremely high charges that won’t be good for any student’s budget, we expected it to be worth the price and indeed qualify for an A+ or an A grade. When, finally, we got our paper, we can say that it was a high-quality essay. But we’re not that convinced and sure that it would surely get an A+ or an A. If we were to grade the essay, we would give it a B. It might also get a C if the professor is strict when it comes to formatting and referencing. The most disappointing part of our experience with the site was their customer support. They have a live chat function which should be very helpful for the customers. However, it seems like it has no use since when we went to use it, no one answered our inquiries on the discounts. 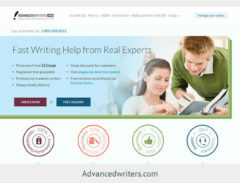 EssayWritersWorld.com offers legit services. However, it just has a lot of flaws that they need to work on and disadvantages to lessen or to get rid of. Yes, they do offer a wide variety of services and do deliver quality papers but with their discount policy, steep prices, and horrible customer service, we conclude that this site is just not the one that is worth your time or your money.